A few weeks back I attended a reunion of reporters from the Coventry Evening Telegraph where I had worked from 1986-88, initially as a news reporter and then, largely, as the pop columnist. The last time I had been to a Coventry Evening Telegraph reunion was in 1989, when I had moved down to Fleet Street to work for the pop desk of the Daily Star (for a Coventry reporter, Annette Witheridge). 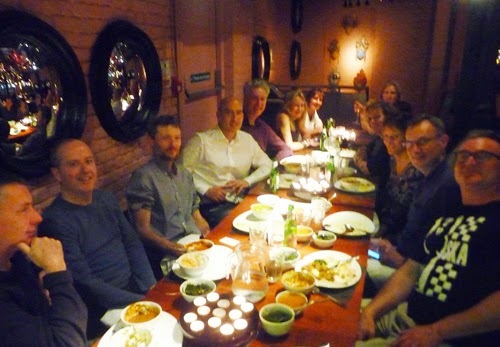 At that do, held at a curry house near The Strand, I enjoyed an amusing evening with Jon Steafel (now Deputy Editor of the Daily Mail), Mary Frances (who I believe went to edit a national women's magazine), her partner Dave Harding (also ex-CET) and a whole host of other former Coventry Evening Telegraph hacks whose identities are lost in the mists of time. 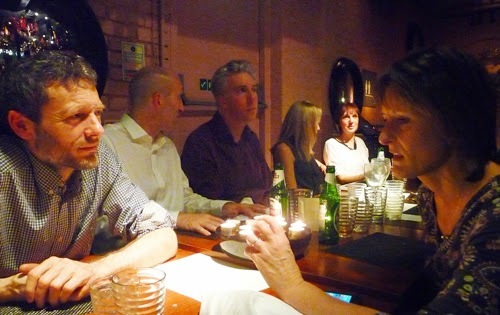 The 2014 reunion was of a slightly different generation: old friends Tracey Harrison, Alison Brace, Jayne Cole, Alastair Law, Adrian Lee, Roland Watson, Pete Walsh among others - and their partners. I don't think I had seen Tracey since I left the Sunday Telegraph in 1997 (she was also working at Canary Wharf at the time, for Morgan at the Daily Mirror) and it was amazing to see her again. Jayne Cole - who is long married to Pete Walsh - and I had not met since I left Coventry 1988, which is a hell of a long time. She was a dazzling young photographer on the paper when I knew her. It was great to see her again and to talk. 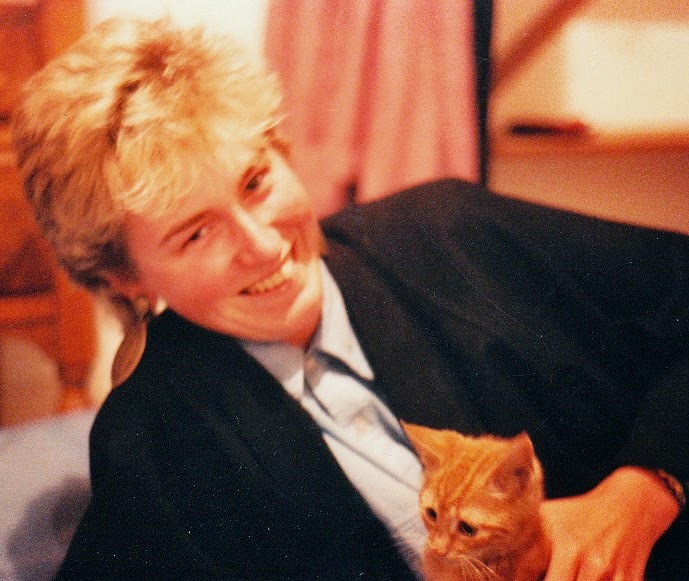 Jayne had shared a house in Foleshill, Coventry, with Lorna Duckworth, now in Scotland (and not present at the reunion), a street away from the horrible hovel in which I lived with my young and very tolerant cat Tonto. Alison Brace was also at the reunion. 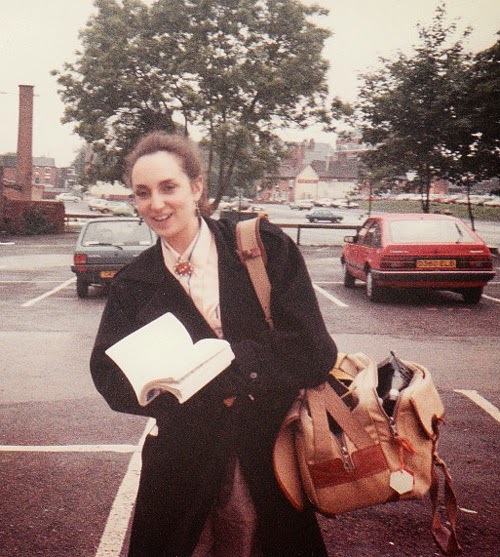 I'd known Alison from when she did work experience at the Hull Daily Mail in 1985 (I believe) - incredibly to me almost 30 years ago. 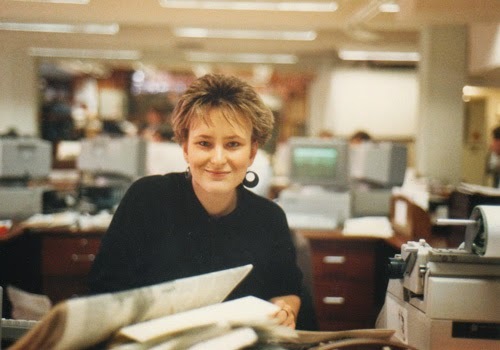 She joined the Coventry Evening Telegraph after I had left but I bumped into her again in the late 1990s at the Mail on Sunday, a watering hole for hacks in need of work from all over Fleet Street. One of the characteristics of my youth is that I remember so little about it. 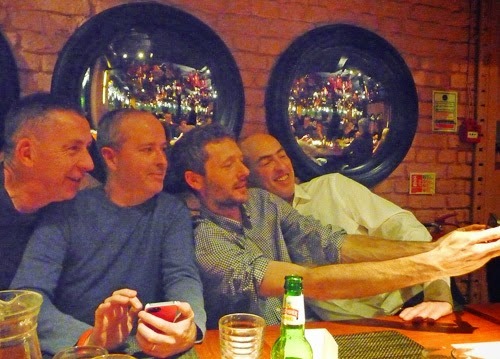 When I meet people from my yesteryears, they nearly always tell me things of which I have absolutely no recollection! Sometimes I wonder if it was really the same guy. Or if I am inhabiting someone else's body. 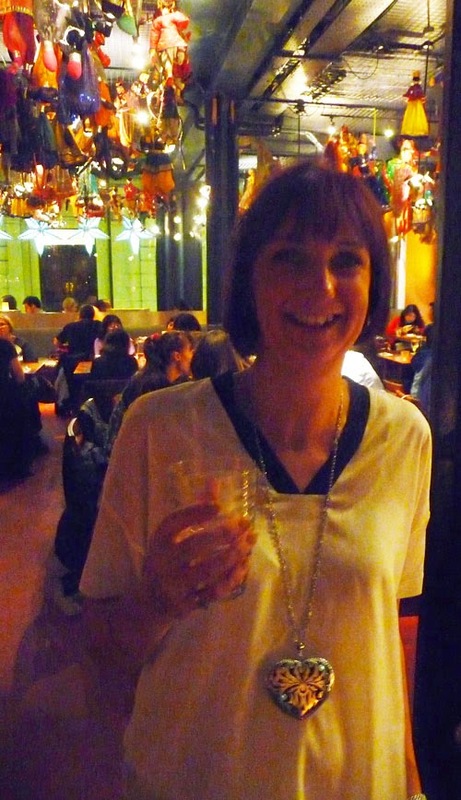 The 2014 reunion was a very jolly event in a smart Indian restaurant in Covent Garden, London. It was very good to see James Hardy again. He was not at the Coventry Evening Telegraph but is married to Tracey Harrison. I recall that James and I suffered together under Lawson at the Sunday Telegraph, although, to be fair, he coped far better with the regime than I did. It was good to see Alastair Law, who became pop columnist of the CET after I left, and Roland Watson (now Foreign Editor of The Times), who came after me to Coventry but I had met before on the Fleet Street merry-go-round. 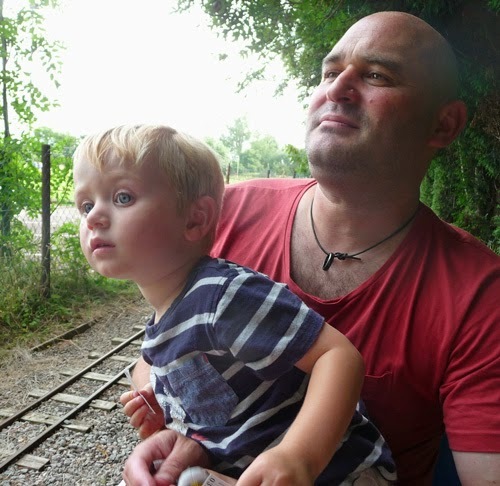 My dear friend Jason Tilley, a brilliant photographer, with whom I have kept in touch over the years. This picture of Jason is one I snatched with his Nikon FM work camera which he had left lying around in a Coventry pub beer garden while he procured some Guinness. Newspaper pictures were in black and white in those glorious days, and few could print monochrome as well as Jason. Then there was the aforementioned Lorna Duckworth, a great friend with whom I have fallen out of touch and, sadly, have not heard from for years. 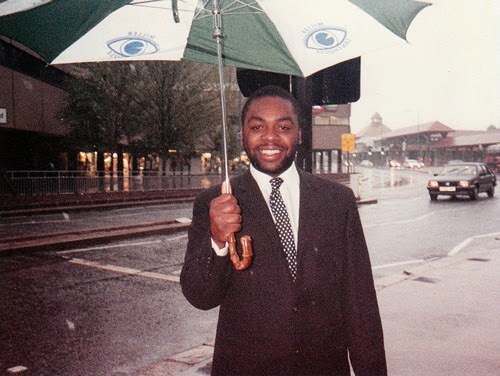 And Demetrios Mathieu - "Saviour of Us People" as I used to call him - who was not there, according to Pete, because it was raining. I feel sure there was more to it than that! Nick Holdsworth, a remarkably direct individual, who has defected to Russia. I won't say what I called him in the Coventry days. Jerry Vine, a.k.a. Radio Two presenter and BBC election coverage star Jeremy Vine, who used to write reviews and pop interview pieces for my pop column (he did it extremely well and was also a brilliant mimic and all-round good egg). Ray Massey (Motoring Editor at the Daily Mail) who used to write the Peeping Tom gossip column at the Coventry Evening Telegraph. 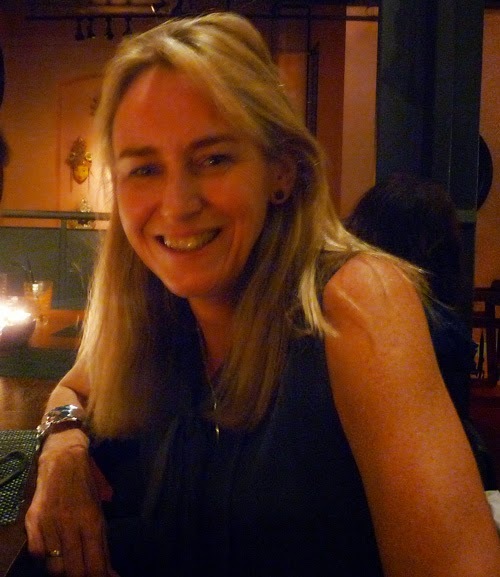 I thought of Melanie Knight, another very good friend who used to sit opposite me in the newsroom. Melanie, a very good tennis player from Lewes, shared a house with Tracey Harrison (in Hugh Road, Stoke, Coventry, I think). I used to drop round there particularly during a lengthy period of homelessness one summer, when I was crashing on friends' floors or sleeping in my beloved white Fiat Uno. Very convenient for work it was. I still occasionally hear from Melanie, who still lives near Coventry, in Kenilworth, but I guess I have not seen her for more than 20 years. And Ant "Tony" Walton, a real character and mate in those days, who was mysteriously "let go" by the Coventry Evening Telegraph and now works as Night News Editor of the Daily Star. 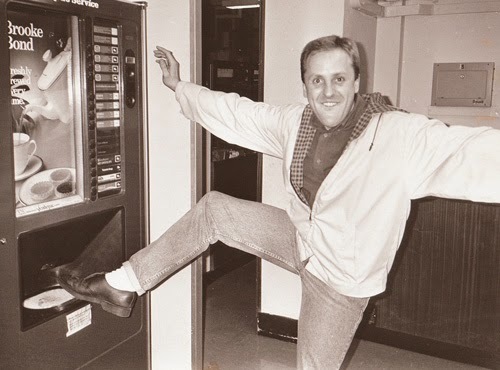 I pictured Ant - or Tony as he is now known - returning to the CET building one night to give the drinks machine a good old kick for the camera! I have to admit I let him in. 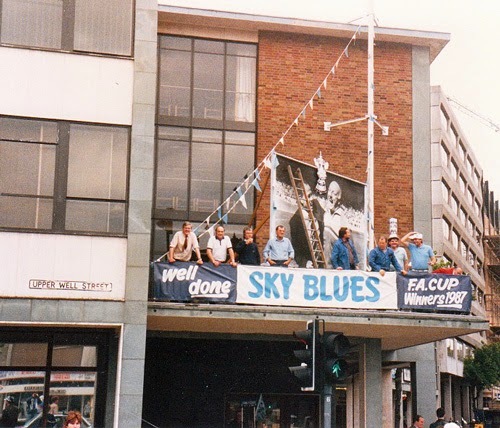 That evening, I recall, ended up with us having a smoke while sitting on the Coventry city centre ring road! My time in Coventry was kind of strange. 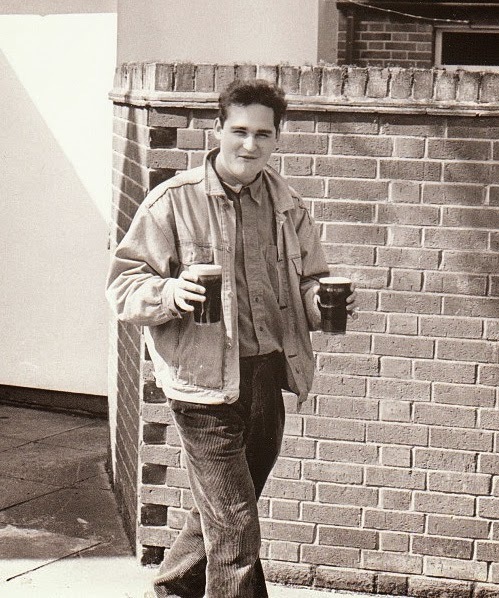 I was young - 24 to 26 - during my time there and immature, and there was a lot of messing around, as my friends The Specials might have said. Looking back, I did not take life at all seriously, drank a hell of a lot, talked too much and generally made a complete fool of myself. I was constantly in trouble. At times my news reporting was distinctly suspect. After a few late starts (one 2pm instead of early calls at 8am) and a couple of dreadful mistakes, I was offered the pop column where, I suspect, the Editor, Geoff Elliot, thought I could do less damage. 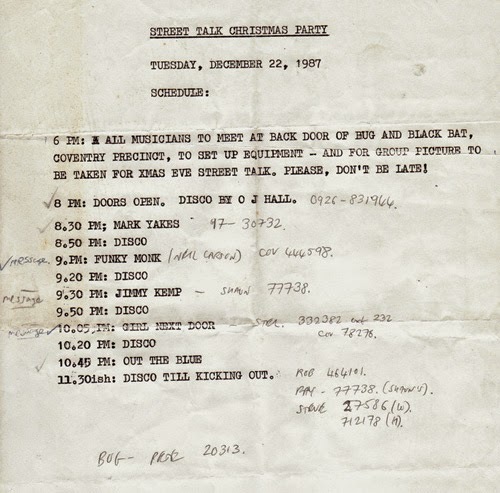 Although in Hull I had known The Housemartins, I was not particularly au fait with popular music at that time. Nonetheless, I accepted the job of a writing a thrice-weekly pop column and went into it with some verve. At that time I did not own a record player, so for at least a few weeks, I wrote all the record reviews on the basis of what I thought of the album or single covers. Eventually I invested a few pounds in a mono Fidelity record player from a secondhand shop and started listening to the records and going to see bands. 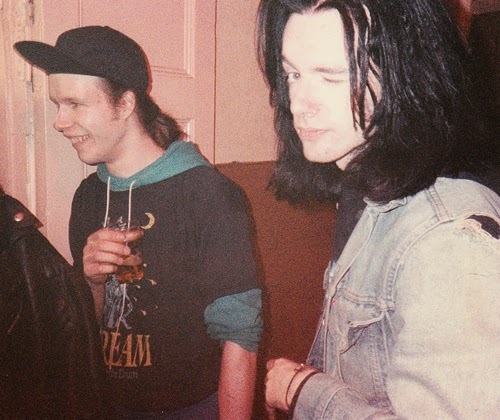 I would go out to a gig most nights of the week, either driving to the NEC, Birmingham or Leicester in the Fiat Uno, or walking or taking a train to somewhere closer and making a prettty boozy time of it. During the day I would interview rising pop stars on the telephone and try to persuade local musicians to make themselves famous, as The Specials and The Selecter had done some years before in the Two Tone era. Often I ended up in terrible dives getting dreadfully wasted. Going out to the gigs - large and small - was great fun and I got to know some interesting people such as The Specials' Lynval Golding - a lovely man - and the band he then managed, After Tonite. Lynval's nephew Brian, the sax player, became a friend. We would spend a good deal of time on the razz in the public houses of Coventry and Leamington Spa. I had such confidence in those days. To mark my 26th birthday, I put on five acts at a club in the city centre (under the guise of Christmas Party for my pop column). 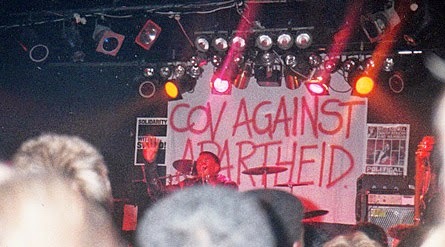 Later, I promoted a fairly large gig to raise money for the anti-apartheid movement. I was evicted from my rented room at gunpoint, got doused in beer by an aggrieved band, was threatened by The Macc Lads, and interviewed the Godfather of Soul James Brown, backstage at the NEC with Jason Tilley's help, shortly before he [Mr Brown, Jason!] was jailed. 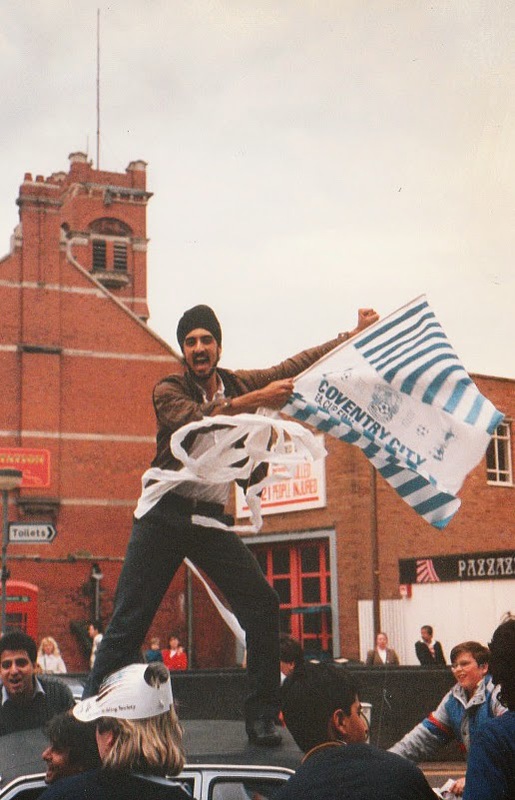 However, way and by far the biggest thing to happen in Coventry during my time there had nothing to do with music. 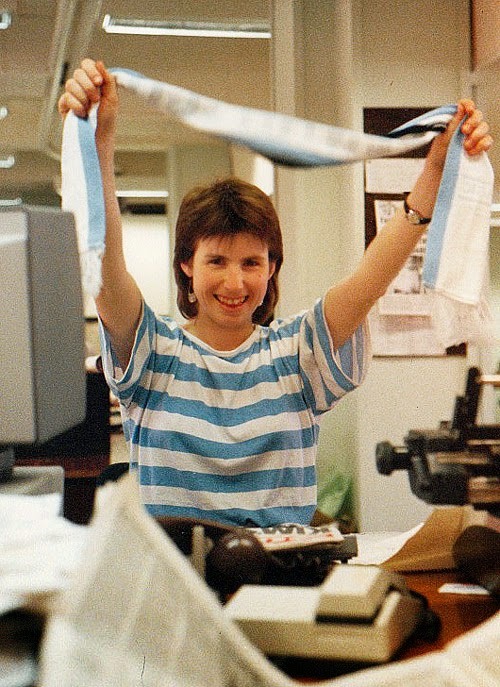 When Coventry City Football Club - the Sky Blues - won the FA Cup in 1987, it seemed like greatest moment of my life. I believe everyone in Coventry felt the same way. Words cannot recall describe the collective joy that the people of Coventry and the surrounding area felt at that moment. Remarkably, you could see it coming. From the quarter-final stage, I was totally convinced Coventry would win and even successfully predicted the winning score for the final. I just wish I had put my wages on it! Freed from the Shackles of Fifa!